There is a myriad of dining options at The Datai ; enjoy the authentic Thai cuisine at The Pavilion, sitting elevated in the forest in an open air setting. 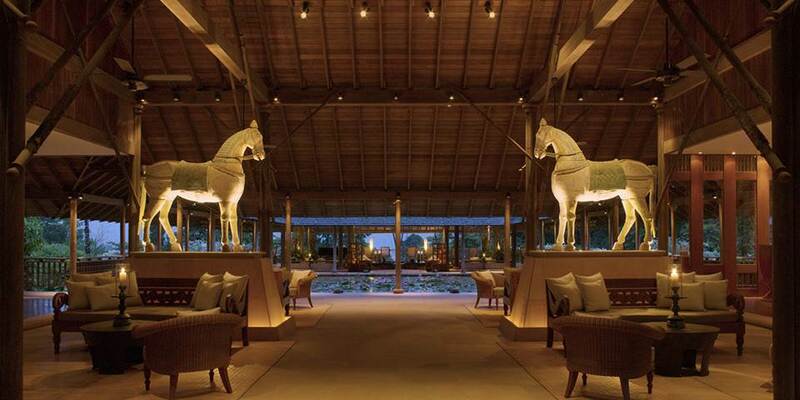 For Malaysian and Western cuisine look out for The Dining Room or enjoy the alfresco dining at The Beach Club. For the authentic Malay and Indian cuisine, enjoy the open-air Malay House. Don’t miss out on the panoramic views of the Andaman Sea all day long in the Lobby Lounge. There is much to experience in and around the resort, take a guided nature walk and discover the beautiful flora and fauna of the forest or venture further and go mountain biking, play a round of golf on the Datai Golf Course, play tennis or swim in one of the two beautiful pools. Younger guests are well catered for with nature walks, batik painting and buckets and spades on the beach. Some may just wish to spend time on the white sands of the private beach or relax in the Spa. 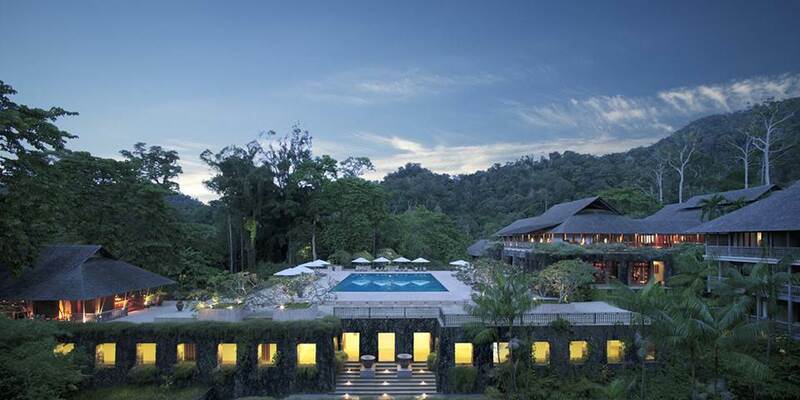 Beautifully integrated into the lush surroundings of the tropical rainforest, each experience promises to be special. Select from a comprehensive menu of exquisite spa treatments by expert and nurturing hands, to relax, rejuvenate and revitalise for a sense of overall well- being. 106 rooms, villas and suites make up the luxurious accommodation at the resort. Premium and Deluxe rooms, have a combined bedroom and living area, spacious bathroom and balcony, they are located in the main building and overlook the forest canopy towards the sea in the distance. Also in the main building the 2 Corner Suites and 9 End Suites comprise a spacious bedroom with en suite bath and a living area with dining table with each suite opening out to a spacious balcony. Scattered around the rainforest, the Superior and Pool villas offer a much bigger interior space which incorporates an oversized day bed, dining table and have extremely spacious and luxurious bathrooms; the Pool villas have the added benefit of a 3.5 x 4 metre plunge pool. Ideal for families or groups of friends the four Pool Suites are located close to the beach and Beach Club. 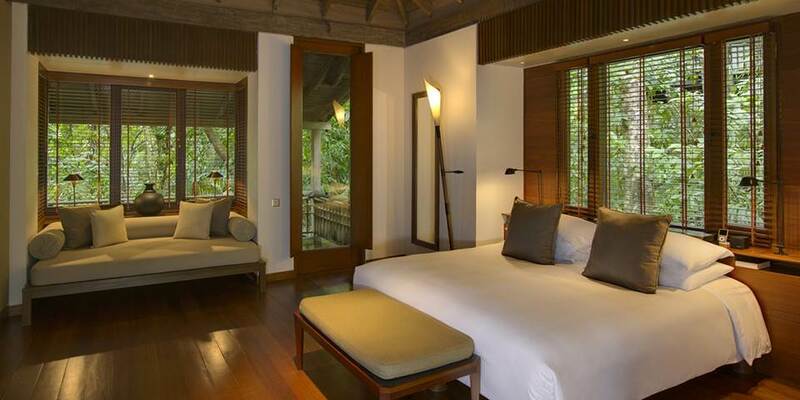 Each suite comprises a bedroom with living area, a spacious bathroom and a private deck. Every two suites are linked by a sheltered walkway and share a fitted kitchen as well as a living room and a dining room. The Suites share common areas and all four shares a 15 metre pool. The generous one and two bedroom Beach Villas are elegantly appointed with living areas which link to a secluded garden that hosts a superb 10 metre private pool, these are a perfect marriage of modern luxury and hi tech functionality. 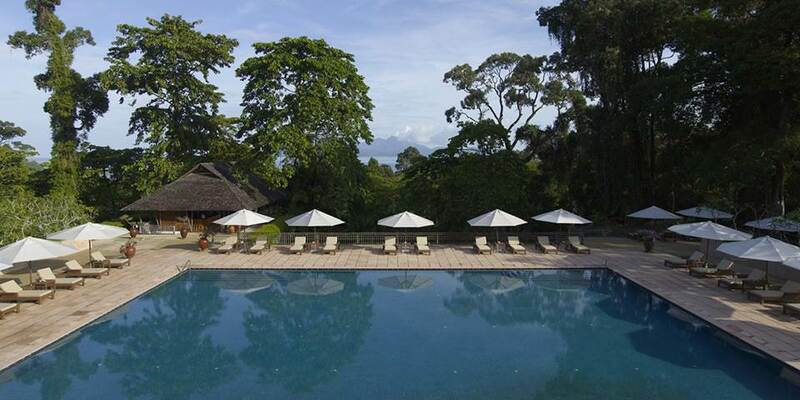 The Datai Suite has two bedrooms, an expansive living and dining area, plus a fully equipped kitchen. A sandstone balcony provides a panoramic view of the environs from every conceivable angle.